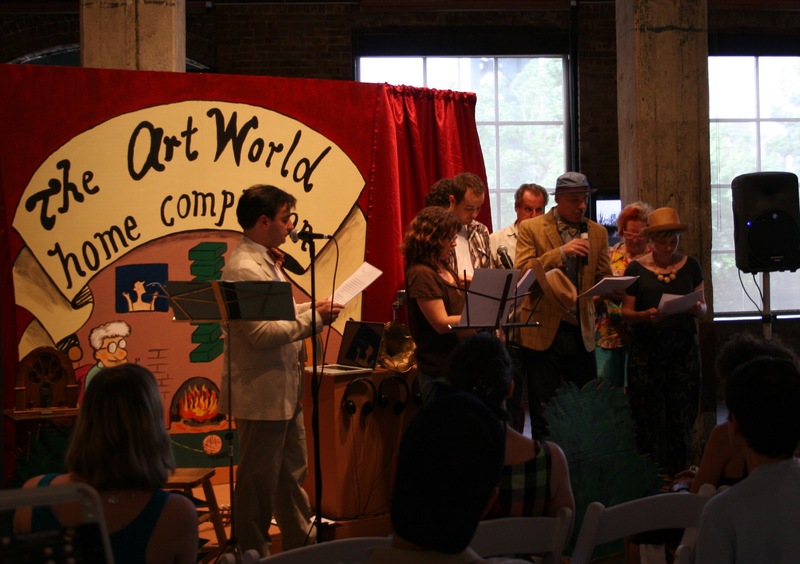 The Art World Home Companion is a radio program originally conceived for Condensations of the Social, an exhibition at Smack Mellon, Brooklyn, curated by Sara Reisman in June-July of 2010. The project pays tribute to Garrison Keillor’s A Prairie Home Companion, adapting the concept for the contemporary art community. The “Estheticist” segment of the program invites public participation and offers a counseling and answering of art-related questions from listeners, in the spirit of Randy Cohen’s New York Times column “the Ethicist”. 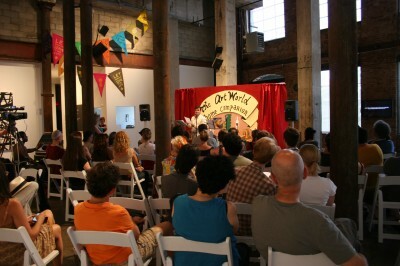 A live program was presented at Smack Mellon on July 17, 2010 with the participation of Ryan Hill and Larry Krone. 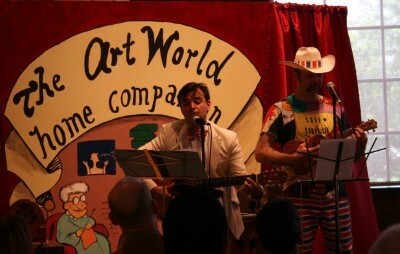 The Art World Home Companion is the great variety show and radio podcast desired and expected by all and produced by none — until now. For those of you who feel lonely amidst the social choreographies of the art world, whose anxieties about professional issues generate unanswered questions that they are afraid to ask, who cant detach from Facebook and are a bit nostalgic of the time when you actually got to see and talk to people in person, but feel awkward at openings, for those for whom the art world remains inscrutable, who cannot understand why it is the way it is— who feel that our social rituals are slightly absurd and contradictory, our theorizing incomprehensible, our ethical behavior suspicious, our professional acting opportunistic, and yet you still ache for being part of it —this program is your friend, your companion and your Saturday morning sunshine. Now that nothing is radical anymore but we are still stressed about it being so, the era of folk conceptualism has begun and it must be celebrated. Well aware of this, The Art World Home Companion will reach the artist studios in Brooklyn and the Amish households in Pennsylvania, the pristine galleries of Chelsea and the prairie chicken farms of Mississippi, the grave hallways of Bard and the harmonious mountains of Appalachia. Uniquely American in its folksy spirit and humor, its relentless optimism, its shameless commercialism and its confessional talk show nature, The Art World Home Companion is the Car Guys for art students and confused art school graduates, Dr. Phil for artists and independent curators, the Oprah of the art historians, the Jim Cramer for collectors and dealers, and the Larry King of all of us who care about art but have a hard time not becoming cynical about the art world. Each program will include special guests, American folk music, art recipes, site-specific travel tips from the Atlas of Art Commonplaces, strange manifestos, and the centrally important program The (Esth)ethicist, to whom listeners can write with their burning professional questions. The art world has now a friend, a shoulder to cry on, a companion finally not to compete against or sleep with for convenience but just someone to laugh with, to love, learn and share our eccentricities, fears and desires as members of our little town which is the Art World. Radio drama: "Otto's Self-Board Meeting"